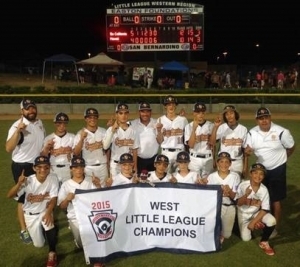 The team has some heavy-hitters helping with expenses to make their dream of playing in the Little League World Series a reality. 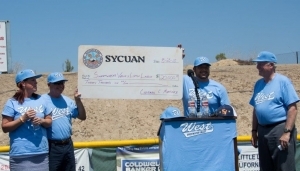 On Sunday, Chairman Cody J. Martinez of the Sycuan Band of the Kumeyaay Nation presented a check to a representative of the Sweetwater Valley Little League team at the Sweetwater Valley Little League complex in Bonita to help continue covering expenses for the team to attend the Little League World Series in Williamsport, Pennsylvania. The donation will help further fund travel, equipment and lodging expenses as well as other costs associated with the team’s participation in the prestigious sporting event. This is the second donation Sycuan has presented to the team. The tribe also provided roundtrip bus transportation for family members of the players to the August 15th game. About Sycuan: Members of the Sycuan Band of the Kumeyaay Nation have resided in and around the foothills of the Dehesa Valley for nearly 12,000 years. 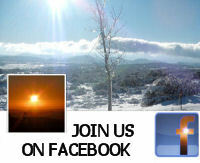 Today they are a modern government providing public services to their members, employees and neighbors. The Sycuan Tribal Government operates one of the region’s premier Indian gaming and resort facilities, the Sycuan Casino and Resort. The Sycuan Tribe demonstrates its strong commitment to the San Diego region through the support of hundreds of civic and charitable organizations. The Tribe, through the Sycuan Tribal Development Corporation (STDC), also seeks to reinvest back into the San Diego community with a progressive business development effort. To date, STDC has purchased the former Singing Hills Country Club and the historic U.S. Grant Hotel; is an investor in Hotel Solamar near Petco Park; and is owner/developer of the Marina Gateway Hotel and Conference Center in National City. Combined, these enterprises now employ nearly 4,000 San Diegans.